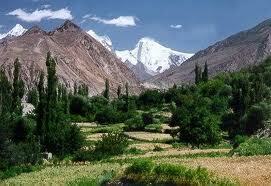 The Hunza is a mountainous valley in Gilgit in the Gilgit-Baltistan. The Hunza valley is situated to the north of the Hunza River, at an elevation of around 2,500 metres (8,200 ft). The territory of Hunza is about 7,900 square kilometres (3,100 sq mi). Karimabad (formerly called Baltit) is the main town, which is also a very popular tourist destination because of the impressive landscape of the adjoining mountains like Ultar, Rakaposhi, Hunza Peak, Passu Peak, Diran Peak and Bublimating (Ladyfinger Peak), all 6,000 metres (19,685 ft) or higher.The conclusion of your journey will be at Hunza. (A beautifull valley which provides you with picturesque splendor with its loving and friendly inhabitants. TOUR PLAN: Day 01: Morning drive from Islamabad to Chilas. Arrive and transfer to the hotel. Overnight at the hotel. Day 02: After breakfast drive to Hunza via Karakuram Highway. Arrival in Karimabad and transfer to your hotel. Overnight at the hotel. Day 03: Breakfast at the hotel. Morning Visit Karimabad bazaar, Baltit Fort, Altit Fort. Overnight at the hotel in Karimabad. Day 04: Morning proceed to visit Duiker Village & Hopper Valley excursion by Willy Jeep. Overnight in Karimabad. Day 05: Breakfast at the hotel. Drive to Gilgit. Arrive and visit Gilgit Bazaar and explore local area.Overnight in Gilgit. Day 06: After breakfast drive to Besham via Karakuram Highway. Arrive and transfer. Overnight at the hotel. Day 07: Breakfast at the hotel. Morning drive to Islamabad. Arrive & transfer to your desired address or to the airport.